Welcome to the age of dinosaurs. Again. 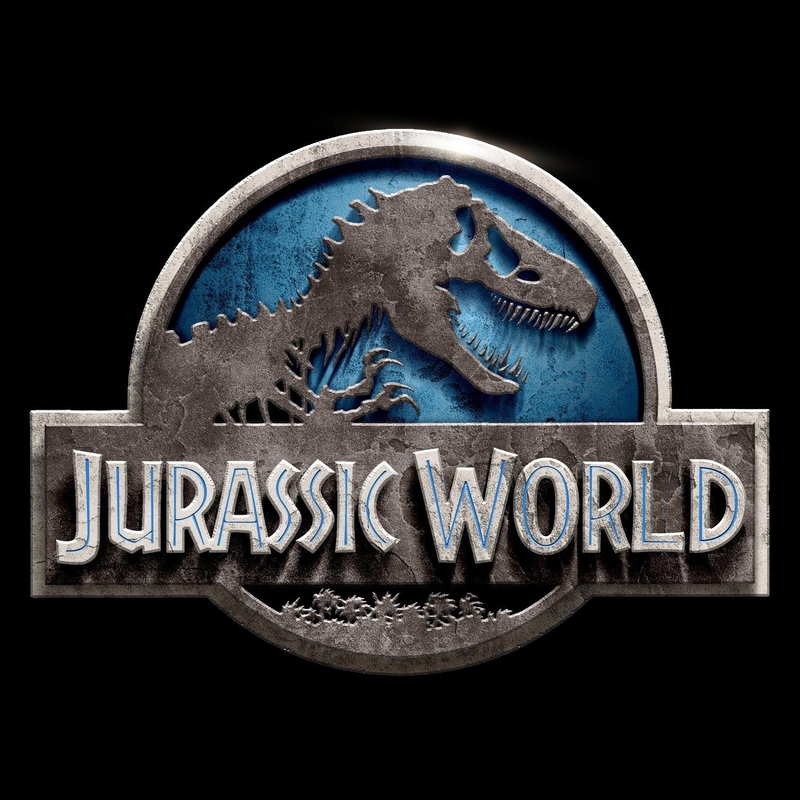 Jurassic World enjoys a slow build up to the jaw-crushing fun as brothers Zach and Gray prepare to be shipped off by their parents to visit their aunt, Claire, (Bryce Dallas Howard), the director in charge of the trendiest island getaway since Lost. Zach is the typical teenager - broody and seemingly indifferent to his brother and parents. Gray is the dinosaur expert: bright-eyed, and excited for every new wonder of the park to unfold around him. As the boys spend time wandering around the attractions, including a Sea World-esque tribute to the Mosasaurus, a giant amphibian dinosaur, Claire introduces the owner of the park, Simon Masrani, to the science team's latest achievement: the Indominus Rex (because a T-Rex just really needs to be scarier). The Indominus Rex is kept in a special part of the park, with reinforced walls and windows. It's explained that the Indominus Rex, which will forever be known as In-Rex, for the purposes of this article, is a hybrid of other animals - though what, exactly makes up its DNA code is not explained - and is possibly fifty feet in length. It is also white and clearly camera shy when it moves through the foliage inside his cage. Claire is stiff, cold, and all business as she describes the In-Rex and the cage. She sees the dinosaurs as animals, referring to them as 'it,' and is more concerned about profit and sustainability than bonding with the dinosaurs. Masrani is in awe. He is giddy about the advancements being made in science, and showing people something they have never seen before. He enjoys wonder. He is also smart enough to be afraid of the In-Rex's abilities. He suggests that Claire talks to Owen, a former Navy S.E.A.L, and current dinosaur trainer extraordinaire, to look over the In-Rex's cage. He wants the public as safe as possible, a noble goal that, ultimately, falls way, way short as the movie progresses. Here, we pause for a message from our corporate sponsors. Movies about dinosaurs must be as expensive as the parks, because there are a lot of sponsors. The writers are also fans of irony. They mock consumerism even as they encourage you to buy a Lexus and stay at your nearest, family-friendly Sheraton. At one point, the question is asked why the companies that sponsor Jurassic World don't start naming the dinosaurs - and that people are no longer impressed by dinosaurs, so selling tickets has become a priority. And back to our regular programming. Claire searches out Owen as he settles into his bungalow for a post-raptor training beer. The thing that hit me first about the pair is that they are both fans of control. Owen applies control to his work, where Claire applies it to everything in her life. Owen is an example of what Claire could be, should she allow herself to relax. The two went on one date that did not end well. Claire had an outline of the date in place; Owen wore Bermuda shorts. Sexual tension enters stage right and does a slow samba all over Owen's front yard as Claire asks him to look over the In-Rex's paddock. They argue about the animals - her need to control everything and see them as nothing more than animals and his belief that they are creatures worthy of respect, worth of more than a theme park. The banter is fun and witty, and in no way makes you worry about the In-Rex escaping and teaching all the arrogant humans about trying to own and control a dinosaur fifty feet long. And, then, of course, the scary, genetically-enhanced super dinosaur escapes. Because what is a family-friendly park without a meat-eating dinosaur that can chomp people to bits with a twitch of his jaw? Clearly not fun at all, that's what. As the In-Rex munches on the tertiary guards - and everyone near his cage that is not named Chris Pratt - Zach and Gray climb into a protected sphere that takes them through a field of peaceful, hippie dinosaurs that only want to munch on leaves and hang out. Zach decides to go off road, and they end up in the forest. All seems fine until the In-Rex appears behind them. It kills the other dinosaurs, then attacks the pod that protects Zach and Gray. The In-Rex figures out how to break the unbreakable glass and tries to eat them both. A tussle ensues and Zach manages to free them from the pod and lead his brother to a river, only to come face-to-face with a giant cliff/waterfall combo. It's jump or become the In-Rex's favorite new tooth pick. They jump. When they come out of the water, Zach and Gray have their real first sibling moment. Before the waterfall, Zach either only barely tolerated his brother or showed slight signs of enjoying his time with him - the broody teenager act to a fault. Emerging from the water is like a cleansing of sorts for him, as the brothers' love is on full display. Zach truly wants to protect his brother, and is concerned for his safety. All it takes for them to show it is a joke, some mud, and a giant In-Rex out for blood. As Claire and Owen desperately look for Zach and Gray, they come upon one of the In-Rex's chomping grounds. An Apatosaurus - part of the hippie crowd - lies dying on the grass. Owen goes to comfort the creature. Claire hesitates, the coldness slipping, then joins him. She has her first real moment of willful lack of control in the entire movie, as well as empathy as she watches the dinosaur die. She reaches out to touch the face of the dinosaur, her eyes welling with tears. You can tell in that moment that she does not see the dying dinosaur as a beast or animal meant for public consumption and profit. It is a living, breathing being, and it's dying. She allows herself to be emotional, and the emotion resonates. Trust the Apatosaurus to have the most dramatic death scene in the movie. Those guys are always stealing scenes. Claire's barriers are being broken down, and she sees what she has been too stubborn and afraid to see: that caring about other creatures, and people, is not a weakness. She's opening up, daring herself to feel things and allow for the lack of control. It's a turning point for the character that allows her to finally start truly connecting with Owen. In-Rex continues to chomp its way towards the main hub of the park, on a killing spree of all animals, big and small, where twenty thousand people wait obliviously at the end of its run. Masrani tries to stop it, but ends up only unleashing a wave of pterodactyls on the people trying to get corndogs in the shopping area, which is sponsored by everything except for dinosaurs and the letter I. When Claire finally reunites with Zach and Gray, the meeting is sweet, awkward, and funny. In a stark contrast to the beginning of the movie, she initiates contact with Gray and shows how the carefully guarded walls of control and distance have slipped. She is no longer cold and distant. She has learned her lesson. Cue Hoskins with his brilliant plan to use the raptors to stop the In-Rex, save the day, and use the horrific death toll and rampaging dinosaur as a chance to beta test the raptors in a potential military setting. Symbolism abounds as they decide to use other "trained" dinosaurs to take out the In-Rex. Hoskins' idea that mother nature encourages war flows throughout the In-Rex's actions of killing everything in its path, and it suggests that war can never be contained or ended with new weapons, as men like Hoskins believe. Owen decides to help in the plan. He doesn't like it, but he's not really given a choice in the matter. The raptors and Owen speed off into the jungle to fight a massive dinosaur with four raptors and some dudes with automatic weapons and a grenade launcher or two. There's another lesson about how God complexes tend to create what we fear worst, and that what we build often turns on us, but the more important thing is that Chris Pratt totally rides a motorcycle with four raptors running around him like placid bloodhounds. He's the papa raptor, and he couldn't look more proud. It's a cool scene that has featured in most of the trailers. The raptors meet In-Rex and they realize really quickly that they kind of don't like humans. The In-Rex can communicate with the raptors using its previously unknown raptor DNA to explain why humans are icky and should hang with him instead. Eschewing its 'kill everything' rule, the In-Rex lets the raptors live as they join it in taking the humans down. Owen feels the betrayal of his raptors, but he does what any sane person would do. He gets on his motorcycle and runs away. The In-Rex, like the misanthrope it is, heads straight for town to eat people, while Owen joins back up with the others. Claire, Owen, Zach, and Gray try to fight, but it's clear they don't have what it takes to face the dinosaur. The raptors show up again, killing Hoskins in the process, and Owen does his intense stare down thing that's part of their training. I'm not sure if the long stare makes Claire jealous, but it seems to do something to the raptors. The beta raptor acknowledges Owen as the alpha again and turns to attack In-Rex instead. In the ensuing chaos, Claire comes to the realization that the only thing that can stop the In-Rex is something as big and deadly. She goes to an unmarked door and lights a flare. The door opens and the mama of all dinosaurs emerges from the darkness: the T-Rex. Claire leads - read, runs away in terror - the T-Rex back to where the In-Rex is trying to skewer Owen, Zach, and Gray and the two dinosaurs immediately start fighting. In releasing the T-Rex, Claire has given up all semblance of control at last. She realizes that she doesn't have the answer to the In-Rex. It's her hero moment, and her instincts end up being what saves them all. After a few near misses, and an almost deadly end, the T-Rex, with the help of the beta raptor, manages to push the In-Rex towards the water. Now, I don't know what the Mosasaurus holding area is doing so close to the shopping center, but it's clearly helpful when the creature surges out of the water and makes a meal out of the In-Rex, proving that there's always a bigger predator out there. While Chris Pratt's name has been everywhere in the promotion of the film - and he is equal parts funny, adventurous, smart, daring, and emotional in Jurassic World - the movie truly belongs to Bryce Dallas Howard. She brings to Claire a strength and evolving sense of daringness, playfulness, humor, and compassion. Claire has the most character growth out of them all, and Bryce does not disappoint in the way she handles her through the rigors of finding herself, deciding where she should apply her stubbornness and where she should let go, and reconnecting with her family once more. Her banter with Chris Pratt feels realistic, sassy, and loaded with intelligence. Her awkwardness with her nephews is human and her return to them at the end of the movie is just as human. Bryce Dallas Howard is definitely the MVP of the movie. The action is fun, there are unexpected parts, and some parts that are clearly set up for a sequel, but the movie was solid, the dialogue on point, and definitely blockbuster-worthy fun. I give it a B-plus rating. Chris Pratt soaking himself with gasoline. The technology they introduce is really cool, and feels like something that is possible in the future. It's all very tactile and realistic, and I really liked it. Jimmy Fallon has a cameo during the sphere of death ride. It's cute, funny, and I want to see the outtakes. Like, right now. What makes Claire even more of a badass is the fact that she does everything Owen does but in high heels and a skirt. Seriously... how? How are you alive? MVP for real. They make a deal out of Gray being super smart, which has zero percent relevance to the plot. They just sort of dropped the plotline entirely. I have an urge to stay at the Sheraton now. I'm sure it's unrelated. Jake Johnson is hilarious in this. He gets all the awards. There are lots of Jurassic Park references - the gate from the original movie is there, the sphere of death scene is much like the Jeep scene when the T-Rex first escapes in the original, they find Jeeps that belonged to the original characters, and a t-shirt from the original park that pretty much dooms the entire operation the moment the character puts it on. At no point did Samuel L. Jackson show up and yell about how he was tired of all the dinosaurs eating all the people. I was disappointed. Is it wrong that near the end of the movie all I can think of was "I want to know what type of heels she is wearing" because, not only did they not break while hiking through the juggle, but they also let her out run a T-Rex without turning an ankle. Take that - Easy Spirits! Ha! Those heels are magic. I'm certain they could probably cure world hunger after not breaking through all of that.